Can I delete a punch? 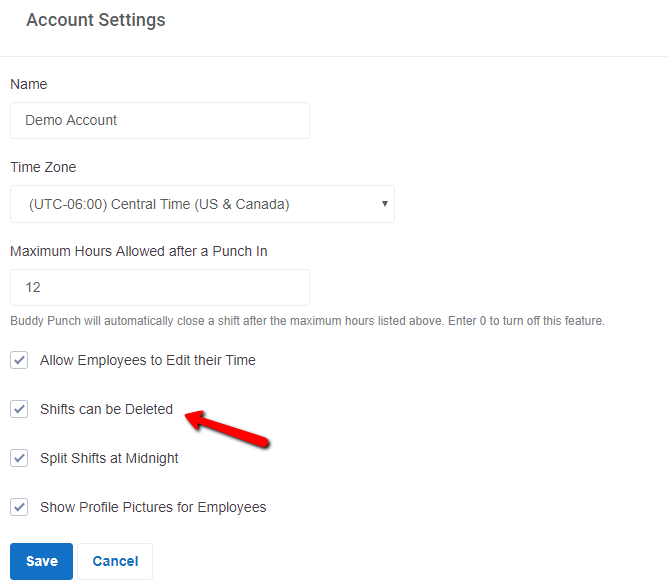 Shifts can be deleted by admins or managers with "Approval" access. Yes, punches can be deleted by administrators or managers (if managers have approval rights over an employee). View the punch and look to the far right for the delete button. Delete is done by shift; alternatively you can edit punch in and punch out times. As an admin or manager login and visit Timecards --> View. You can edit the punch in or punch out time but can only delete an entire shift (punch in and punch out).